Smart ovens, voice-controlled robot vacuums, and a washer and dryer that can handle four loads at once—this is innovation we can believe in. Samsung is still smarting from the exploding Galaxy Note 7 catastrophe of 2016, but the company still has its solid lineup of home appliances to fall back on. Last year Samsung showed off a touchscreen refrigerator, which was just as ridiculous as it sounds, and the appliance maker is doubling down on that over-the-top vision at CES this week. Family Hub, what Samsung has called the giant refrigerator door tablet that serves as your home’s calendar, grocery list-maker, and photo album, is getting an upgrade for 2017. The fridge’s arguably most important feature, smart food management, is improving with internal food cameras that photograph and order items you’re running low on. Plus, the built-in Recipe app will now read aloud to you for easier multitasking in the kitchen. The hub is also gaining voice commands across many of its apps, such as managing to-do lists, receiving weather forecasts, and adding ingredients to the family shopping list. Then there are the hub’s other, not-so-necessary social features, which were mocked when the fridge launched last year. Samsung overhauled the touchscreen’s user interface with family member profiles so every person can add calendar updates, handwritten memos, and photos that can be accessed on the main fridge screen or in the Family Hub smartphone app. 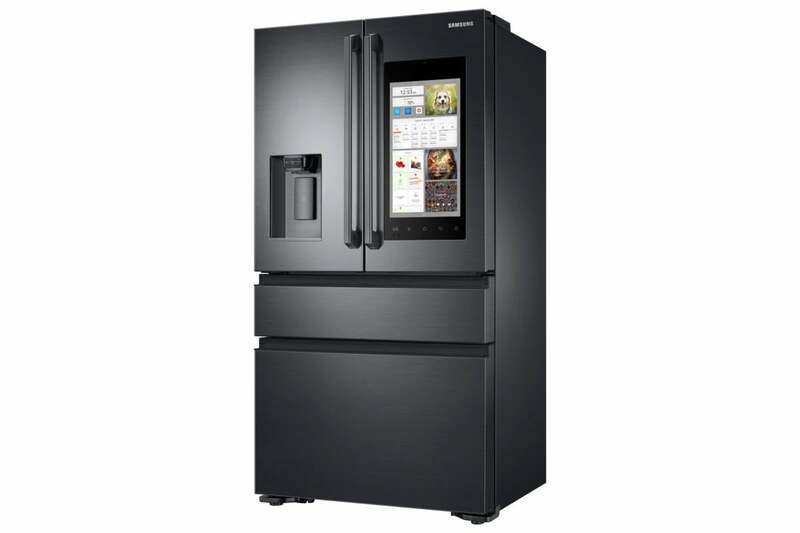 Family Hub 2.0 is coming to more of Samsung’s refrigerators, including its three-dour and four-door French door models. Samsung isn’t just putting intelligence in your refrigerator. It’s also catching up to speed with a smart, Wi-Fi-connected cooking appliance lineup of built-in double- and single-wall ovens; gas, induction, and electric cooktops; and range hoods. The double wall oven has a fancy feature called a Smart Divider which creates three separate oven spaces from one, each individually controlled so you can cook bake or roast different dishes at different temperatures. The smart cooktops aren’t just connected to the Internet, they also have Bluetooth baked in, which enables the cooktop to sync with the range hood to automatically turn on the hood’s fans and lights while you sautée away. The cooktops also make cleaning a cinch with a magnetic knob—just remove the knob and wipe down the cooktop for a fast, easy clean. 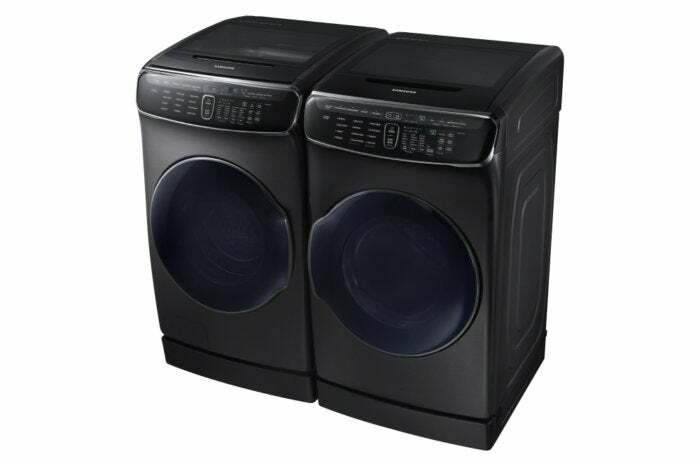 This washer-dryer pair can handle four loads of laundry at a time. Bananas. Meanwhile, Samsung is also trying to shake things up in the laundry room, which is a space you don’t typically think of when it comes to innovation. If you have a big family and a lot of money, Samsung’s new FlexWash and FlexDry washers and dryers are changing the game, allowing you to wash and dry two loads simultaneously. You can have four loads of laundry going at the same time, and you can stop, start, and pause each load remotely using Samsung’s Smart Home smartphone app. It’s not the most jaw-dropping tech we’ll see this year, but it sure could help a lot of busy parents. Samsung has another robot vacuum, but this one’s controlled by Amazon’s Alexa. 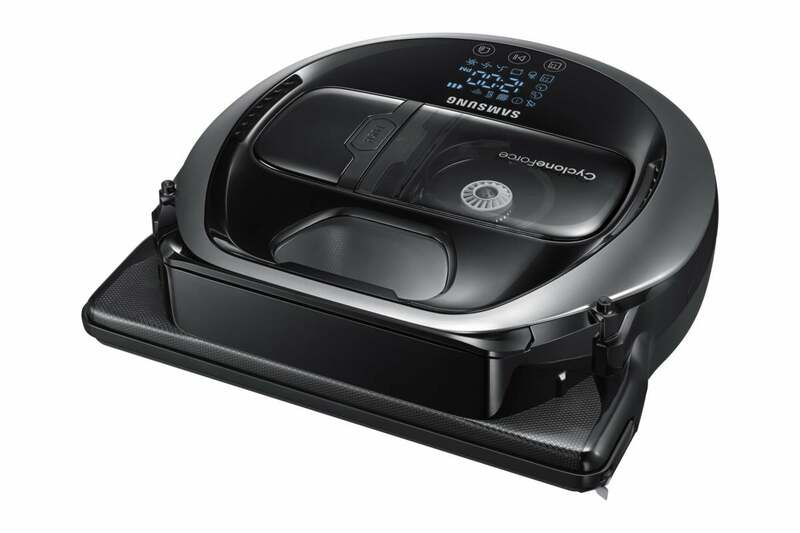 Less impressive is Samsung’s Powerbot VR7000, a super slim new robot vacuum that uses mapping, sensors, adjustable suction power, and a self-cleaning brush to keep your floors clean without any extra work. You can control the vacuum with an app, of course, and you can also tap Amazon’s Alexa voice assistant to help out if you own an Echo device. We’ve seen a slew of robot vacuums lately, so the latest Powerbot model isn’t blowing us away on paper. Samsung hasn’t yet released pricing or availability for its new smart home lineup. We’ll check out all of the latest products on the CES show floor and figure out if these intelligent appliances all hype or worth a second look.